An interdisciplinary team of researchers has laid the foundations for a completely new type of photovoltaic cell. In this new process, infrared radiation is turned into electrical energy with a different mechanism from that found in traditional solar cells. The mechanism behind the new solid-state solar cell, which is made of the mineral perovskite, relies on so-called polaron excitations that combine the excitation of electrons and crystal lattice vibrations. The scientists from the research groups of Prof. Simone Techert, Leading Scientist at DESY, Professor at the University of Göttingen and head of a research group at the Max Planck Institute for biophysical Chemistry in Göttingen, Prof. Christian Jooss at the University of Göttingen, and Prof. Peter Blöchl at the Technical University of Clausthal-Zellerfeld, present their work in the Advanced Energy Materials journal. In conventional solar cells, the interaction between the electrons and the lattice vibrations can lead to unwanted losses, causing substantial problems, whereas the polaron excitations in the perovskite solar cell can be created with a fractal structure at certain operating temperatures and last long enough for a pronounced photovoltaic effect to occur. This requires the charges to be in an ordered ground state, however, corresponding to a sort of crystallisation of the charges, which therefore allows strong cooperative interactions to occur between the polarons. 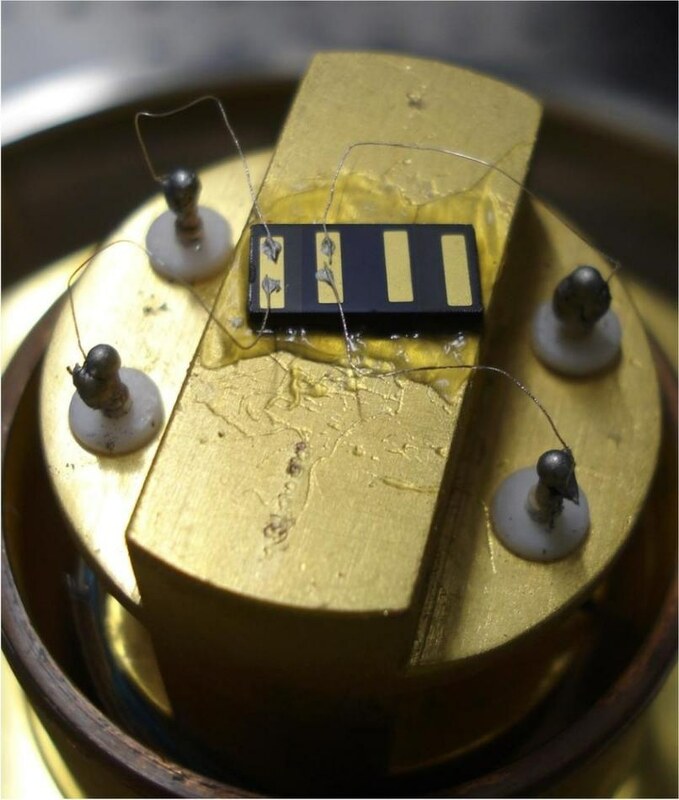 The perovskite solar cells, examined by the research team, had to be cooled to around -35 °C in the laboratory, in order for the effect to occur. If this effect needs to be used in practical applications, it will be necessary to produce ordered polaron states at high temperatures. “The measurements so far were made in a carefully characterized reference material, in order to demonstrate the principle of the effect. For this purpose, the low transition temperature was accepted,” explains co-author Techert. Material physicists at Göttingen are trying to modify and enhance the material to achieve a higher operating temperature. “Also, we might be able to achieve the cooperative state temporarily through the cunning use of additional light to produce the excitation,” says Techert. If one of these strategies becomes successful, future photochemical energy sources or solar cells could be made with perovskite oxide compounds, which are available in large quantities. Developing high efficiency and simply constructed solid-state solar cells is still a scientific challenge which many teams around the world are working on, in order to ensure the future of our energy supply. In addition to optimizing the material and the design of existing solar cells, this also involves exploring new, fundamental mechanisms of light-induced charge transport and conversion into electrical energy. This should allow us to develop solar cells based on new operating principles. This is precisely what the interdisciplinary team of chemical physicists, material physicists, X-ray physicists, and theoretical physicists have now achieved in the collaborative research center SFB 1073 for “Atomic-Scale Control of Energy Conversion” in Göttingen. A key factor in examining the new principle of solar cell operation was the ultra-fast methods of structural and optical analysis that were used in the current and in previous work on this topic. Measuring dynamic processes in molecular units, like in the molecular movie approach, calls for the use of brilliant and ultra-fast X-ray sources, such as PETRA III at DESY or the European Free-Electron Laser, European XFEL, which goes into operation this year. Examinations like these, some of which were already used in the current study, lead to a new level of understanding of charge transfer processes, which in turn makes possible new solar cell functions. The research was performed by scientists at the University of Göttingen, the Max Planck Institute for Biophysical Chemistry, the Technical University of Clausthal-Zellerfeld and DESY.